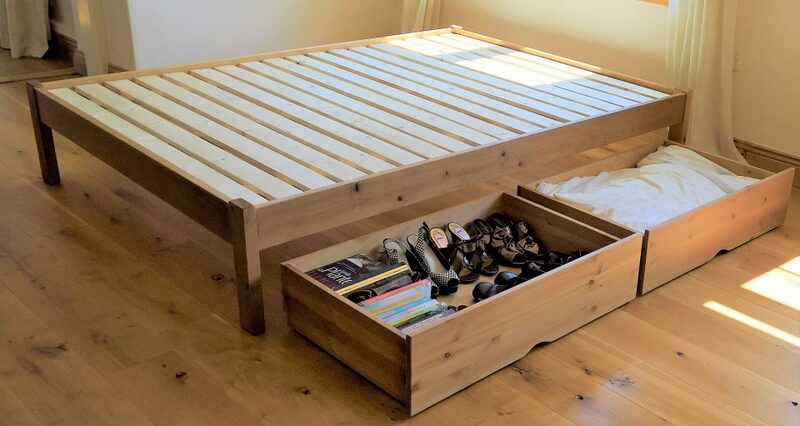 Buy a bed frame with either 2 or 4 storage drawers on wheels and save money with our discount offer. 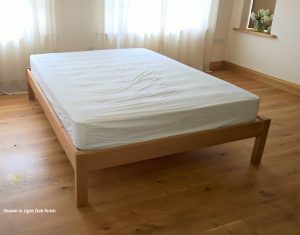 This offer is available on Standard Double, King Size and Super King Size beds. 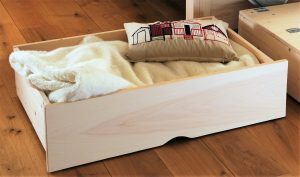 Save £50.00 on 2 Drawers or £100.00 on 4 drawers when purchased with a hand made solid wooden bed frame. 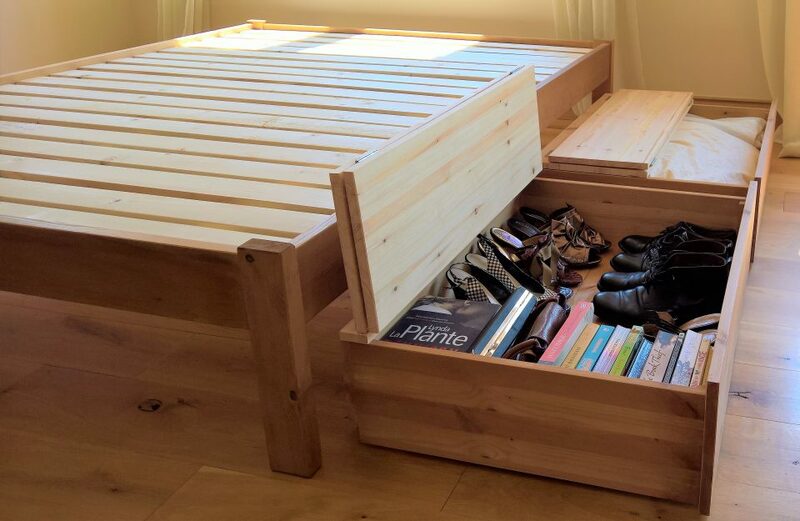 These storage drawers are available with or without lids. 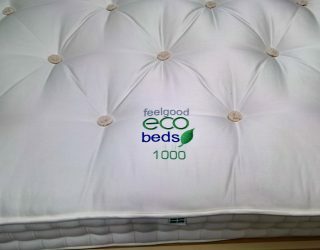 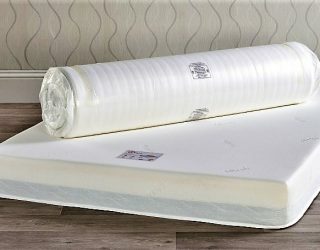 Don’t forget, as with all our beds the selling price includes delivery so no hidden extra costs! 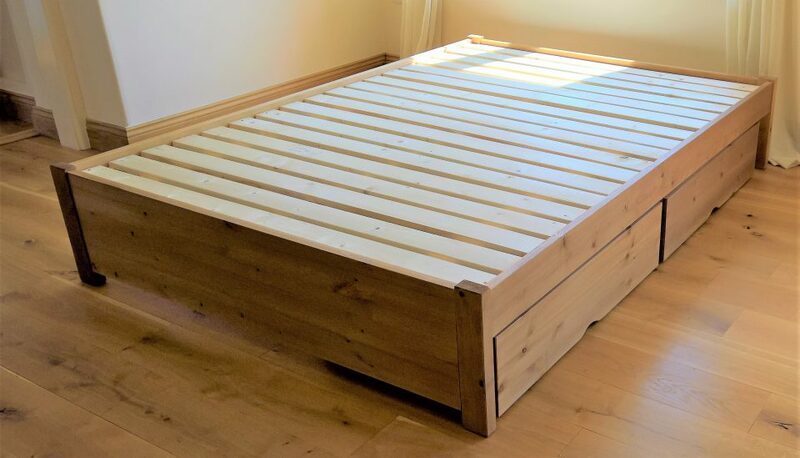 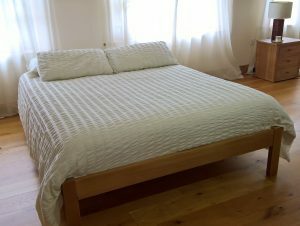 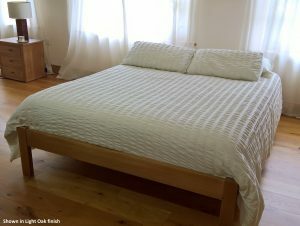 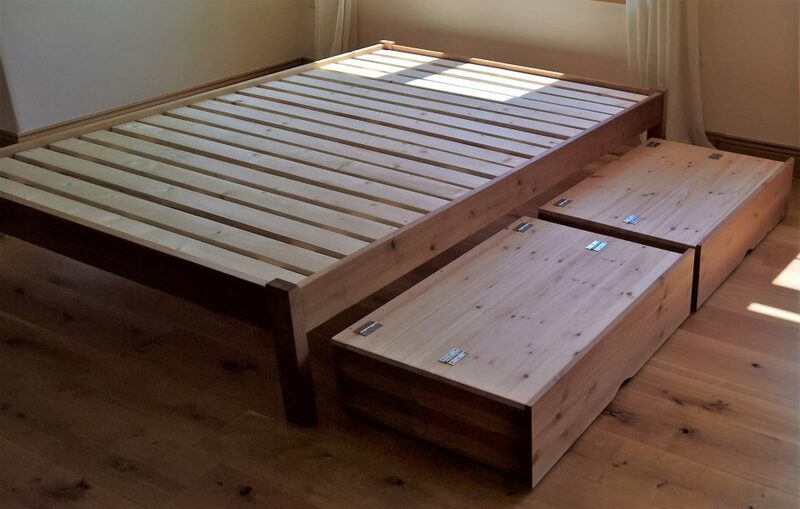 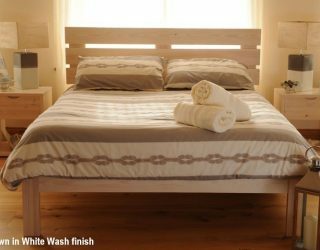 Solid wood beds, all made from certified timber. 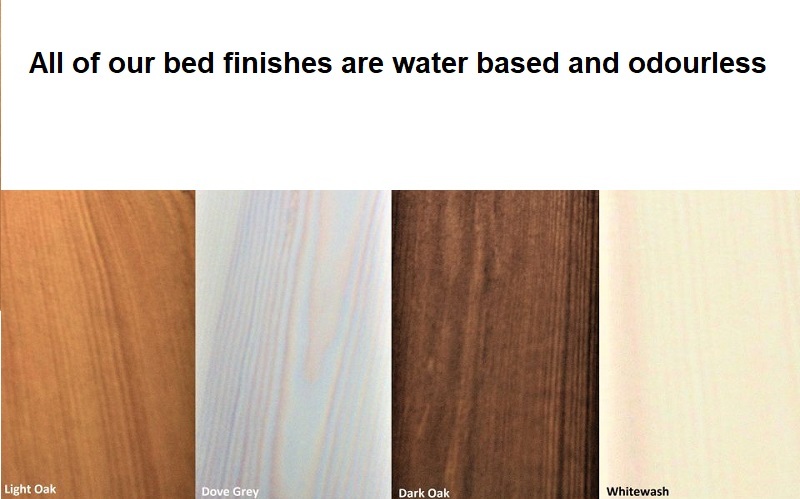 Either very low or zero rated VOC wood stains.